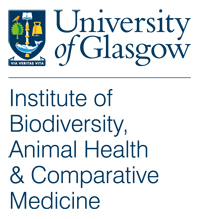 https://naturallyspeakingpodcast.files.wordpress.com/2019/04/ana-payo-payo.mp3 In March, the Institute of Biodiversity, Animal Health and Comparative Medicine hosted seminar speaker and workshop facilitator Dr Ana Payo Payo from the University of Aberdeen. In this episode, Naturally Speaking’s Lucy Gilbert and Martina Quaggiotto speak with Ana about her research on the migration patterns of shags – a particularly interesting species of seabird – off the Scottish coast. Dr Payo Payo also tells us about her involvement in Homeward Bound, a unique leadership programme that empowers women in science to fight against climate change. This podcast was edited by Lucy Gilbert and Taya Forde.